In August, I started on a route heading back to DC. I chose the scenic route. After starting in Mumbai, my only plan was to journey eastward. And to eat good food. After three months of experiencing the food, sights, and sounds of south and southeast Asia, I finished the journey east. On this past Saturday, I landed stateside. After two and half years, I’m back! It was strange getting on the flight from Beijing to DC. A sort of “this is it” feeling. No more living out of my backpack. Back to familiar settings that don’t seem super familiar. I am excited to be home for Thanksgiving for the first time in two years. We’ll see what the future has in store. P.S. – I’d recommend the Mobile Passport app for free, expedited entry through US Customs at several approved sea and airports. It’s a cool alternative to Global Entry. It was the summer of 2006. This was the summer before my senior year of college, and I was spending it with my uncle and his family in Fayette County, Georgia. All of the single family homes seemed to have perfectly manicured lawns. There wasn’t a blade of grass out of place. On one Saturday morning, my cousin, uncle, and I got up early. It was time to cut the grass at our house. This was a new experience for me. I had never cut grass, or done any yard work. My cousin and uncle taught me how to start and use the gas powered lawnmower. It was hard work. I wasn’t able to achieve that perfectly manicured look that I saw at the neighbors’ homes, but I got the job done. Almost eleven years later, I am responsible for maintaining the grassy area around my home on the homestead. My host mom reminds me of this when my grass grows too high. She warns me that high grass gives snakes places to hide. Lawnmowers are a rarity in Swaziland. They are practically non-existent in the rural community. There are two options for cutting grass. There’s an older pair of garden shears, and there’s something called a siheshe (pronounced see-heh-shay), or slasher. It’s smaller than a bush knife and has a modest handle with a thin, long metal blade. 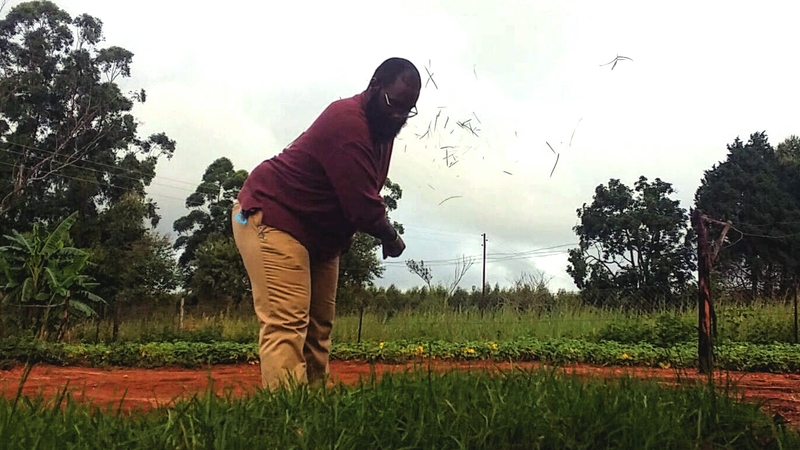 When my host brother was home for the Christmas holidays, I saw him using the siheshe to cut grass. I asked him how one cut grass with it. He responded simply, “just beat the hell out of it”. 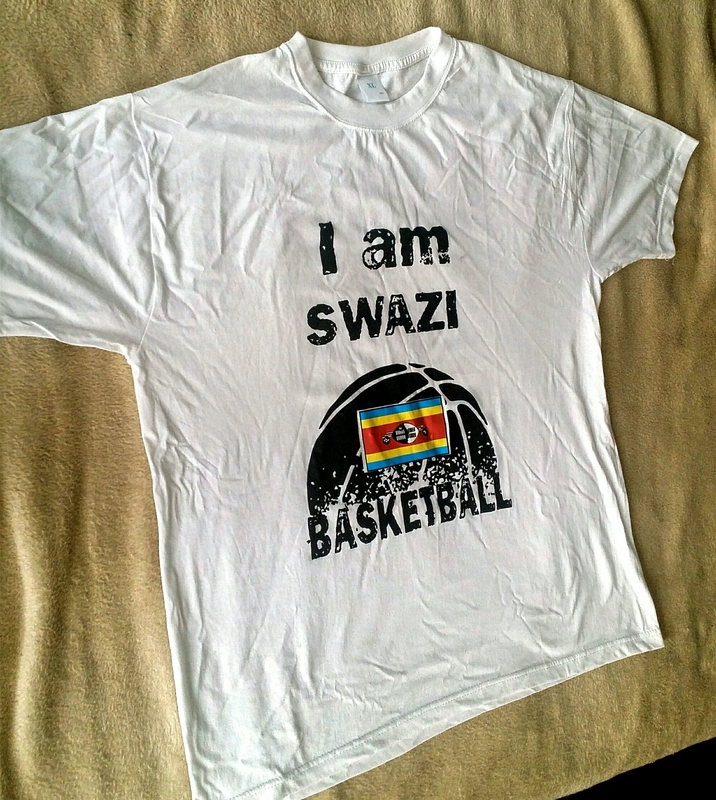 I remembered that on one weekday afternoon as I attempted to cut my grass, Swazi style. Eventually, I found a rhythm. I also found a new appreciation for lawnmowers. The slasher gets the job done and gives you a workout. Luckily, I only have to cut the grass twice a month. Some weeks ago, we experienced the effects of Cyclone Dineo. It brought high winds and an abundance of rain. For a week, rain muddied the roads while rain clouds hid the sun. As a rookie gardener, I have learned to appreciate the rain for what it does to my garden. 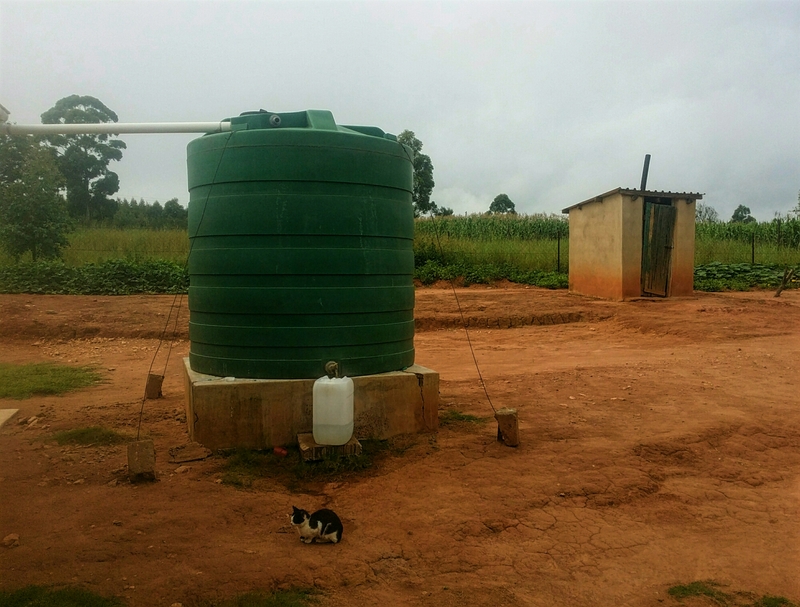 Swaziland, as a whole, appreciates the rain as southern Africa recovers from a severe drought. Water is necessary regardless of where you live. Across the kingdom, different families get water in different ways. Some families have indoor plumbing with running water. Some families take water cans to the river, and fill them before returning home. In some communities, there is a community tap which typically pulls water from a rain caching reservoir. On some homesteads, you find a borehole which extracts water from the ground. I have also seen families divert streams or rivers to deliver water to the homestead. On my homestead, we are fortunate to have a jojo tank. The jojo tank sits on a large concrete slab, and has one tap at the bottom. The jojo tank is connected to rain gutters leading into to the jojo tank. Our jojo tank has a capacity of about 5000 liters. When the rains come, the jojo tank fills with water and all is well. When the rains don’t come, there are services that can come out and fill your jojo tank. Our jojo tank provides all of the water used for drinking, cooking, gardening, cleaning, and bathing. I also use the jojo tank to wash my hands after using the pit latrine. To get water in my house, I fill a 25 liter water can (as seen in the picture above) to bring inside. Because water access isn’t as simple as turning on a faucet in the kitchen or bathroom, I’m more cognizant of my water usage. I try to conserve water. Now, I can happily add “showering with 5 liters of water” to my skill set. Over the course of several weeks, I have featured my homestead and pit latrine. Another integral part of the Swazi homestead dynamic and structure is the kraal (pronounced crawl). The kraal is where a family’s cattle are kept. The kraal is also a symbol in signifying that family’s wealth. 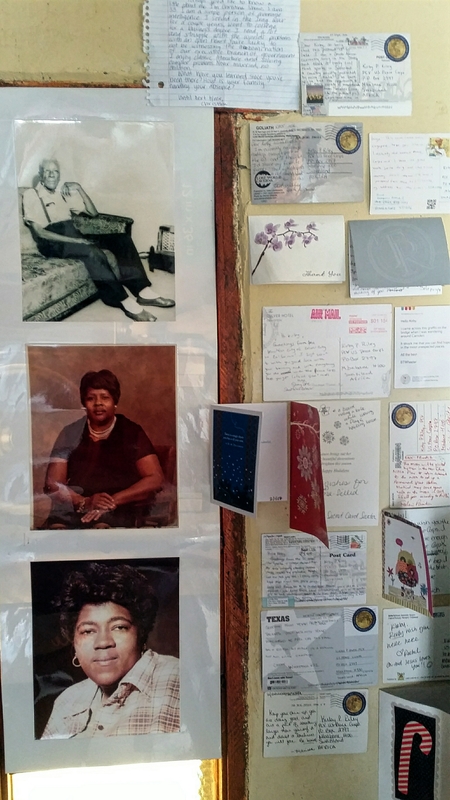 In rural communities, personal bank accounts are less common. It’s not that the money isn’t there. The money takes on a different form. Cows are money. A family with a lot of cows is considered a wealthy family. Some families also invest in cows. When baby calves are born, wealth is increased. Cows are very much intertwined into Swazi culture. If I want to build a home for myself and my family in a rural community, I am expected to give a certain number of cows to the umphakatsi (pronounced oom-pa-got-see), or local community leadership. If I want to marry, I must pay lobola (low-bow-la), or bride price, to the bride’s family. The lobola is traditionally negotiated between the families, and paid in cattle. For major events in a family or community, a cow may be slaughtered in honor of the occasion. 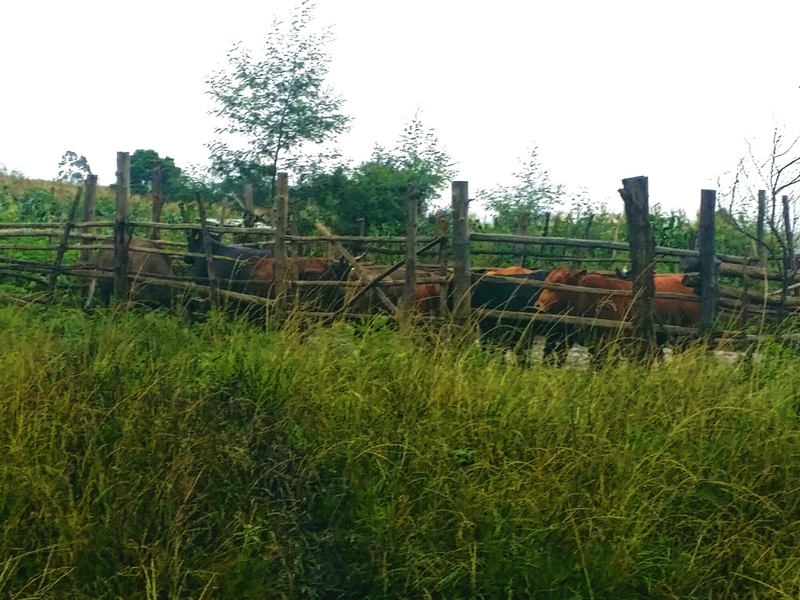 The cows are released from the kraal daily and taken to graze by a cattle herder. Amazingly, the cows know exactly where their respective kraal is and the cattle herder knows exactly which cows belong in that kraal. 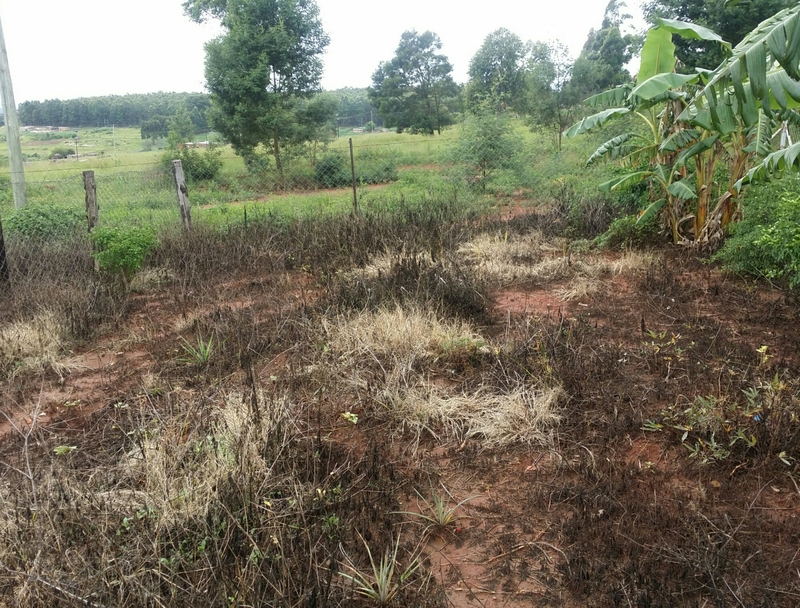 In addition to wealth and food, the kraal also provides plenty of cow manure for to be used as fertilizer during ploughing and planting season. Last week, I finished my garden. I used the techniques that we learned in a training session last month. Read about that training here. 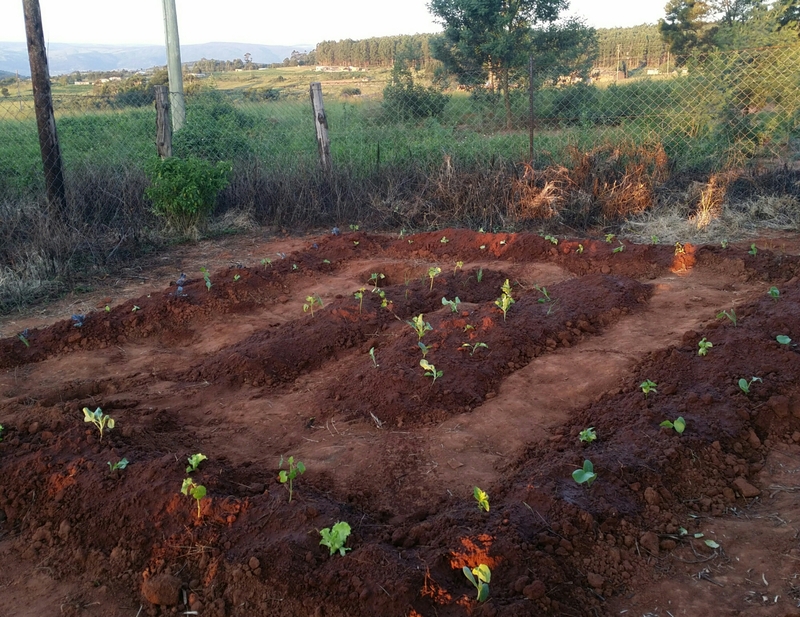 Building this garden was a great way to test my own knowledge and skill before leading trainings in my community. I’m still planning the community demonstration gardens with community leadership. Double digging to depths of 30+ centimeters is hard, tedious work. The Swazi sun made the task even more unappealing. I hyped myself up by watching Ron Finley’s TED talk about guerrilla gardening. While the entire video is extremely motivational and inspiring, one quote stuck out to me. I like money. I like food. Challenge accepted! It took four days to complete. I’m happy to announce that it’s done. Some of my neighbors came over to learn and help. It felt great to actually understand permagardening well enough to explain it to others. I’m sure that I didn’t do everything perfectly. There were measurements that I forgot to take. My idea (and practice) of companion planting is definitely not what we learned. I didn’t add ash or charcoal to the soil because we didn’t have any available. For those who may be wondering what I am hoping to grow, I planted seedlings of lettuce, red cabbage, Chinese cabbage, butternut squash, onions, okra, basil, something called rocket (which the sales associate told me is like spinach), broccoli, cauliflower, and eggplant. I planted seeds of chamomile, flowers, tomatoes, and spinach. Now, I’m just hoping that the seeds and seedlings turn into food. P.S. – This is what the space looked like before it became a garden. After the game, I was chatting with friends outside when I saw a guy wearing a tee shirt. Spoiler alert: it’s the shirt seen above. I approached him, and told him that I liked his shirt. He thanked me, and told me that it was an extra large. I thought nothing of him telling me the size until he started taking off the shirt. He handed it to me. I told him that he didn’t have to give me his shirt. He insisted. I thanked him repeatedly, and we embraced. He smiled, and told me that he wanted me to enjoy my time in Swaziland. I couldn’t stop smiling. I felt so much love. To feel that connection was so amazing. Peace Corps volunteers are notorious for not having lots of money. When we all moved to our permanent sites a month and a half ago, we were given money to settle into to our new homes and make them more homey. Because the settling-in allowance is rather modest, creativity and imagination become as important as money. I live in a spacious octagonal roundavel (I’ve named it, “The Palace”). I moved into a blank canvas, and had to figure out how to add my own flair. I mapped out how I wanted to use various areas, and went to work. When shopping for home furnishings, I took note of prices for various things on my shopping list. I noticed that basic wardrobes (metal poles fitted together with a zippered cloth covering) were priced around 200 emalangeni. I decided against buying it then and there. On one of my walks to get familiar with my community, I saw a rather sturdy looking tree branch laying on the ground. I had an idea. 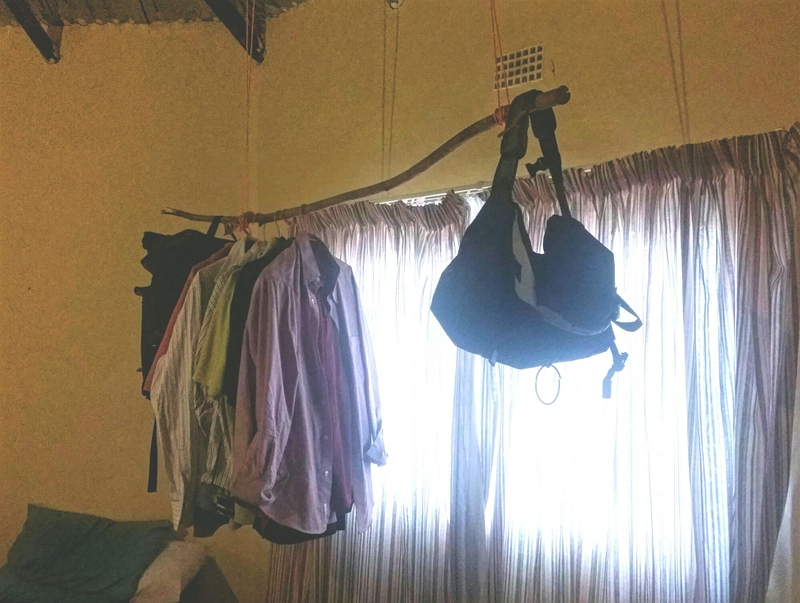 What if I could make a hanging wardrobe? I picked up the tree branch, and brought it home. I shaved the bark of the branch to have a relatively smooth piece of wood. Then, I threw rope over the rafters, and tied many knots to make sure it was sturdy enough to support the weight of my clothing. Before placing the branch in the rope loops, I sprayed it with bug spray to kill any bugs that may have still been present. I hung the branch in the rope loops, and secured it with even more knots. The entire process took about 90 minutes, and was a great entry level project in home improvement.